Tarang Global provides opportunity to students for getting certified for their skills in Indian classical Music and Dance with Prayag Sangeet Samiti. 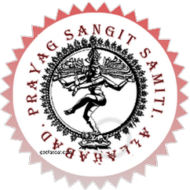 Prayag Sangeet Samiti offers various Diplomas and Degrees in Vocal, Kathak. Harmonium and Keyboard. Tarang Global is also affiliated with Rockschool London for Acoustic Guitar, Electric Guitar, Bass , Drums, Vocals, Piano and Music Production.